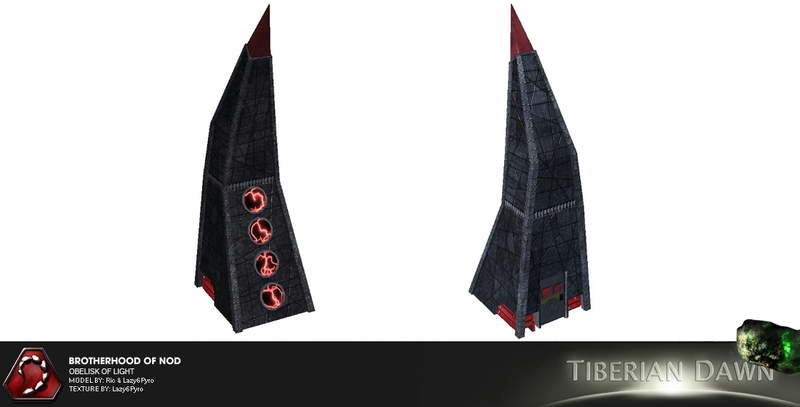 The original Obelisk had some design flaws that were quickly spotted by you, our greatest critics. Lazy6Pyro felt he was up to the job, and transformed the rather bulky Obelisk into a perfect mix of deadliness and finesse. Note that this model is not 100% complete yet; some work is still being put into the transparency effect of the crystal tip, and the logics behind the animated plasma disks. But we couldn't leave you hanging for too long, could we? Nice touch with the Team Color in the base (assuming that is what is going on). The updated NOD Obelisk is tremendous! Infact I think that this reworked version looks meaner as well! Now I must say that when GDI comes over it's "RUN! 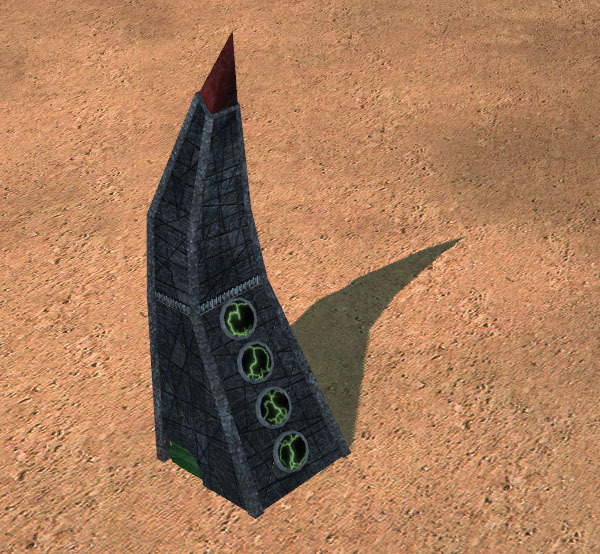 IT'S A NOD OBELISK!". Now hurry up and finish so I can play with my NOD Obelisks A.K.A. GDI Bug Zapper! BBBBZZZZZZTTTTTT!!!!! It's "Nod", not "NOD". Nod is a name, not an abbreviation like G.D.I. But yeah, thanks I guess. Took us quite some effort to get the proportions right. Which is usually where I come in - my eye for detail is one of the main reasons I'm on this team. It's pretty much my only job (besides posting news, recently), so I'm allowed to brag a bit, right? Still, kudos to Lazy6Pyro for transforming my cut-n-paste redesign proposals into actual model changes. I wouldn't know where to start if I didn't have your supreme nit-picking to guide our way. 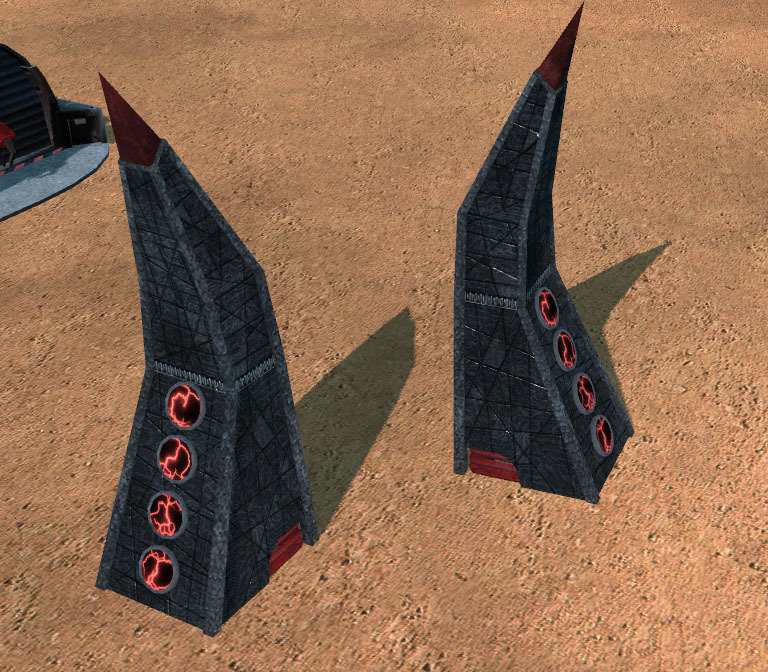 haha, if a Nod obelisk is a GDI bug zapper, then is the Ion Cannon a Nod bug zapper?